A gentleman needs a knife, a fine folder that speaks to their refined discretion in all things. 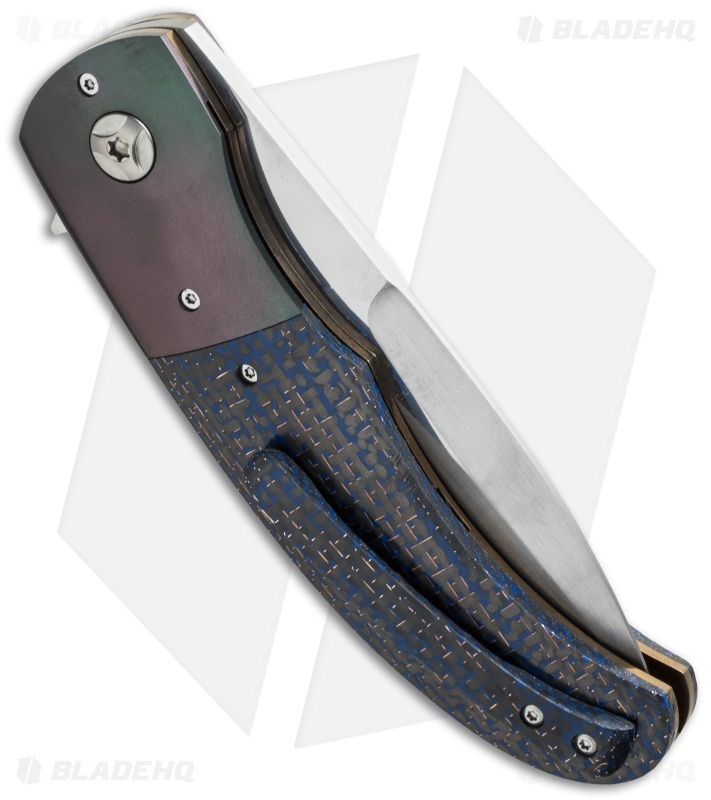 The LL-AAA knife from George Muller is that kind of knife. 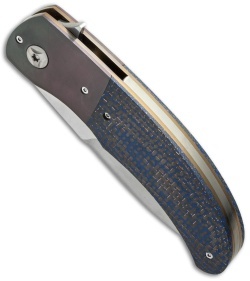 It features a hand satin finished Bohler N690 steel drop point blade that rides on an IKBS ball-bearing pivot. 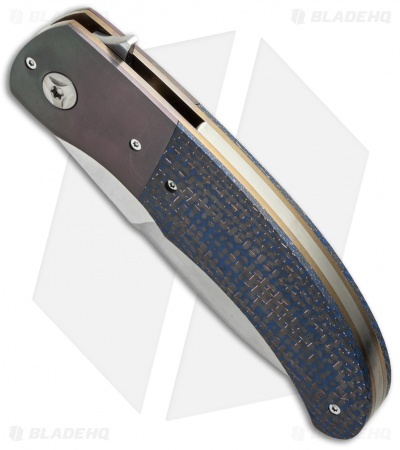 The makeup of the handle doesn't disappoint: bronze anodized titanium liners, lightly colored zirconium bolsters, blue lightning strike carbon fiber scales and 416 stainless steel back spacer. 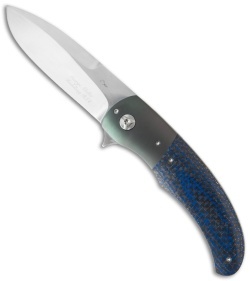 A matching blue lighting strike carbon fiber pocket clip puts this knife just where it's destined to be.